This week’s character development series rests on the word “grace.” I get to bring you books about grace for kids. Character development is very important to me as I raise my kids. However, I never want them to think they have to earn acceptance – from me or from God. More important than the lessons I can teach them to “be good,” is the lesson about God’s everlasting grace. The truth is we are not good. We are sinners. Each one of us. We will always be messing up. It’s only through God’s grace through Jesus that we find reconciliation into a right relationship with our Lord. I timed our lessons on grace to fit close to Easter. I do hope you will check out my other lessons on grace in this character development series. As a reminder, I have 52 character traits to focus on throughout the year in this series. Each trait has 7-8 lessons associated with it. I am adding books to the series this year. 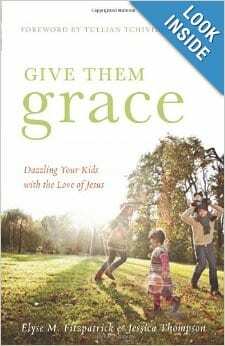 Give Them Grace: Dazzling Your Kids with the Love of Jesus – This is the next book I have to read on my Kindle. I have a number of friends who have read it and said it was the missing component in their parenting. They lived it out to a degree, but this helped them really re-focus and understand the grace that kids need as a reflection of the grace we have been given through Jesus. This is a book for parents, and from what I’ve heard, it can transform your parenting…for the better. It definitely addresses the fact that children need boundaries and consequences. However, from my understanding, it teaches how to have grace in the midst of this tough job. Parenting is not all about telling kids they need to “be good.” It teaches that, at the core, none of us are good. Grace is the essential piece for all of us. It is a book about transferring the gospel message more clearly into your parenting. This comes highly recommended from friends who I trust. 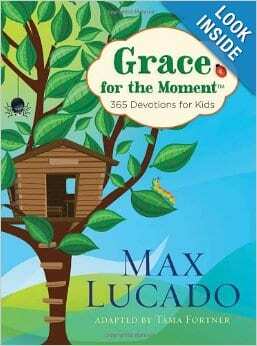 Grace for the Moment: 365 Devotions for Kids – I haven’t read this book, but we love Max Lucado. I bet it is great. 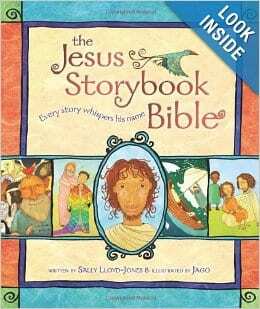 The Jesus Storybook Bible: Every Story Whispers His Name – The Jesus Storybook Bible is the best. If I recommend one book in my entire series, this is it. If you aren’t a Christian but want to see what Christianity it is all about, even you as an adult can read this for the overall picture. It takes you through the Bible and shows how Jesus was the plan since the very beginning. Man is separated from God through sin. However, grace has overcome on the cross. The plan is woven through every story and points to a savior, found in Jesus. This is definitely a favorite, and I recommend people of all ages and even all religions to read this to themselves and their kids to get a better understanding of the Bible. 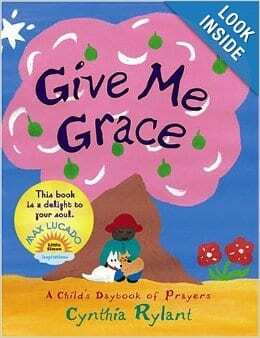 Give Me Grace – Here is another book I have never read. It is a board book with daily prayers for kids. Here is a link to some reviews of the book. 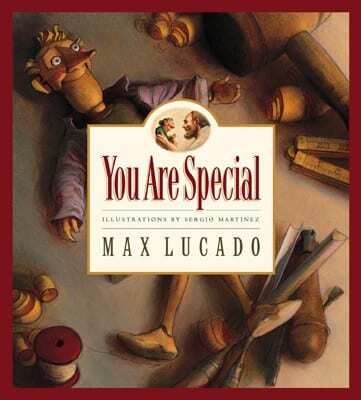 You Are Special (Max Lucado’s Wemmicks) – This is an amazing book by Max Lucado. It is a story about the Wemmicks, a people who were made of wood. These people walked around with stickers – either stars or grey dots. If the person found favor with others, they would receive stars. They would receive stars for being beautiful, smart, or talented. However, if there were Wemmicks who weren’t as appealing they would receive grey dots from others. There was one Wemmick, Punchenello, who always received grey dots. However, he met a girl who had no dots or stars. This girl led him to the wood maker. This carpenter, his maker, showed this little wooden boy his value and when he began to believe it, his dots began to fall off. It was through grace – not because of what he had done – but because of his belief that he was made special. 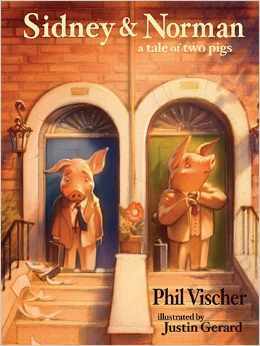 Sidney & Norman: A Tale of Two Pigs – I have not read this story either, but it came highly recommended. It received high marks on the reviews at Good Reads also. 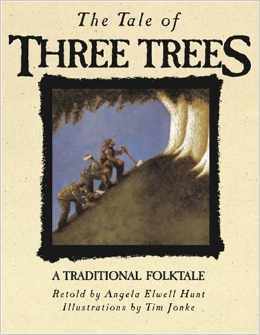 The Tale of Three Trees: A Traditional Folktale – What is more full of grace than Jesus leaving heaven to come down to a humble life as a man? This is the story about three trees who had a distinct part to play in this dramatic story of grace. I highly recommend this story. With great illustrations and a powerful message, the story of grace is lived out in the fate of these three trees. 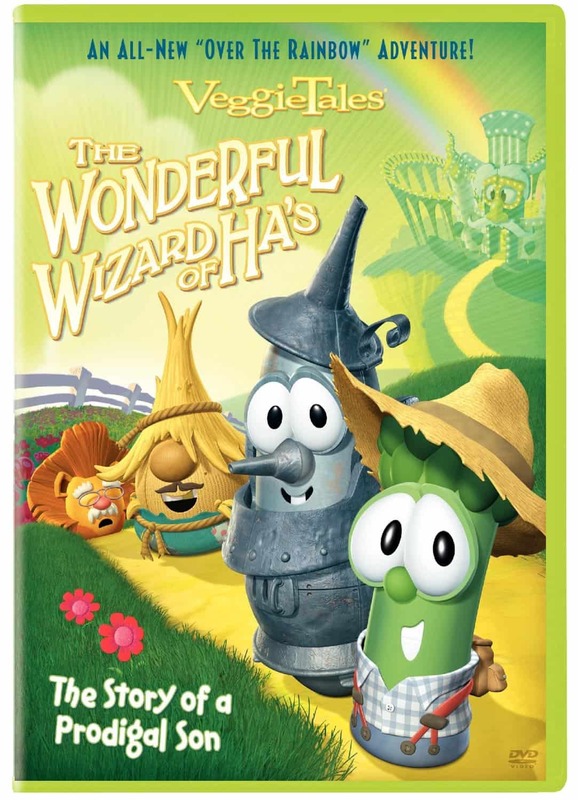 Veggie Tales: The Wonderful Wizard of Ha’s – I love Veggie Tales. So do my kids. My son, with his sense of humor, especially laughs at these books and movies. This one is a movie. It is a play on the Prodigal son and the Wizard of Oz. This story addresses a letter from a boy who keeps stealing. He is afraid that he can’t be accepted back in church and that will not love him because of the bad things he does. The young asparagus in this story goes out and squanders all of his money at the amusement park in Ha’s. He is afraid he can’t return to his dad because he had taken all of his money and ran away. His dad proves the grace he has by his open arms upon his son’s return. 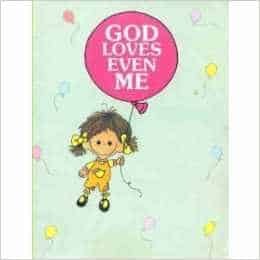 God Loves Even Me (Happy Day Books) – This is a cute little book. I love the honesty within it, which reveals the grace of God. This little girl is honest that it is sometimes hard for her to be good. She is so grateful that God loves even her. It reads like a thank you card to God for patiently loving her. 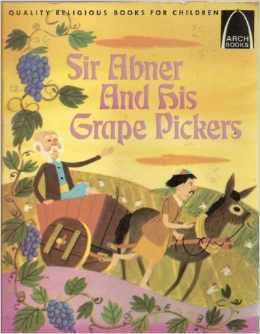 Sir Abner and His Grape Pickers: Matthew 20:1-16 for Children (Arch Book) – This is a rendition of the Parable of the Workers in the Vineyard found in Matthew 20:1-16. The story is a pretty direct rendition, but I think it is helpful to bring parables to life with kids through illustrations and more accessible words. The was written in 1970, so it does feel a tad dated. However, it’s hard to go wrong with a pretty straight forward Bible story. 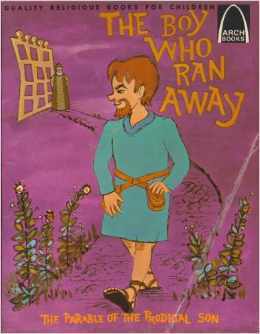 The Boy Who Ran Away: The Parable of the Prodigal Son: Luke 15:11-32 for Children (Arch Books) – This is another pretty straight forward interpretation of the Bible story, the prodigal son, found in Lake 15:11-32. Again, it’s an older book, but it is Bible teaching written in a way that is approachable to kids.